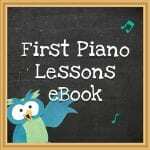 Regular readers have been asking for a FIRST PIANO LESSONS eBook for quite a while now. 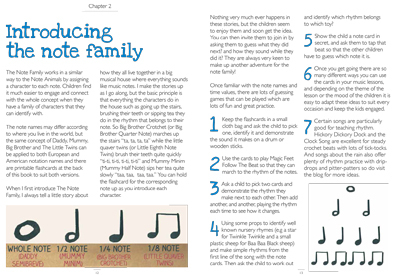 We’ve got lots of posts and resources on the site already, but for extra EXCLUSIVE, NEW content and your ease of use and convenience we have brought it all together – along with plenty of PRINTABLE RESOURCES for practice support and lesson plans. 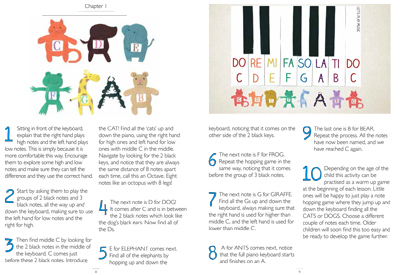 The First Piano Lessons eBook is now available in Spanish! Find out more here. 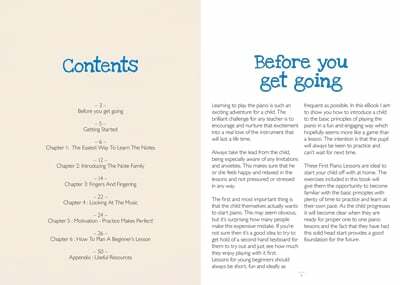 You can buy this e-book anywhere in the world. Payment is via PayPal, which takes care of any currency conversion for you. 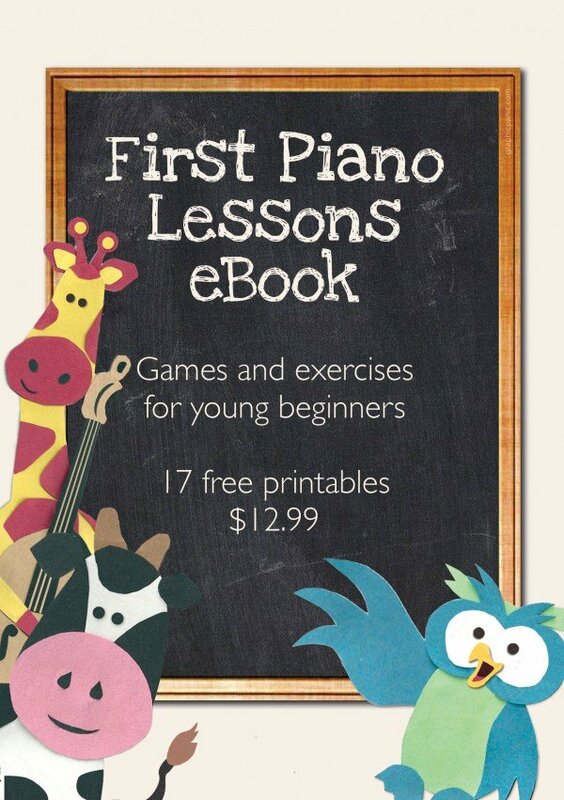 FIRST PIANO LESSONS is an eBook, which means it is a digital book and will be delivered to you as a PDF. You do not need a Kindle to be able to read it. You can buy it now on any device and then download at your convenience. Depending on the apps you have installed and your operating system you might be able to go ahead and download the book on your mobile device, but if you have any doubts or problems, it is recommended that you use a computer to download the book and then share it to your mobile devices. You can read the book on screen or print it off. 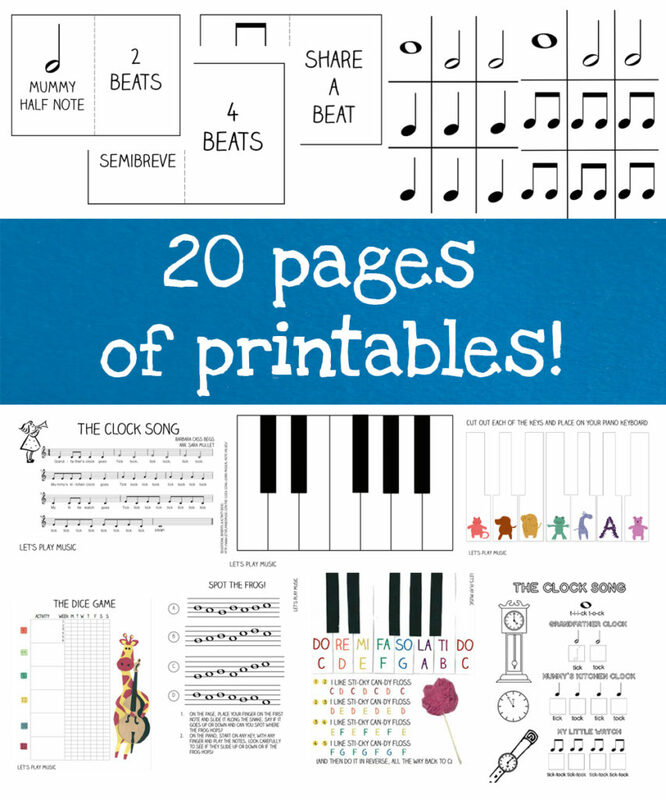 You can print the whole book, or just the printable resources at the back as and when you need them. Here’s some feedback from satisfied readers and teachers!